It used to be that the Day-Nighters were the biggest events of the summer. Especially when the Windies came to town. Viv Richards, Courtney Walsh, and Curtley Ambrose loomed large. Thank God we had Steve Waugh, Merv Hughes and Dean Jones on our side. Both teams were full of fire, death stares and egos. Excitement and fireworks were guaranteed. Fast forward to 2013, and the Windies are back in town. But this time the only fireworks will be actual fireworks and the only dancing down the pitch will be by actual dancers. What is this? A 10 year old's birthday party? Summadayze? Dress ups, DJ promos, Cowboys and Indians. Is that a guy in a gorilla suit? 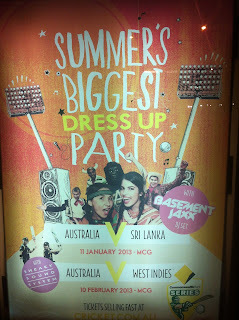 Is the word 'cricket' even on the ad? Are there even any cricketers in the ad? Oh wait, there's Brett Lee. Why is Brett Lee dressed up like he's in a MARIACHI BAND? 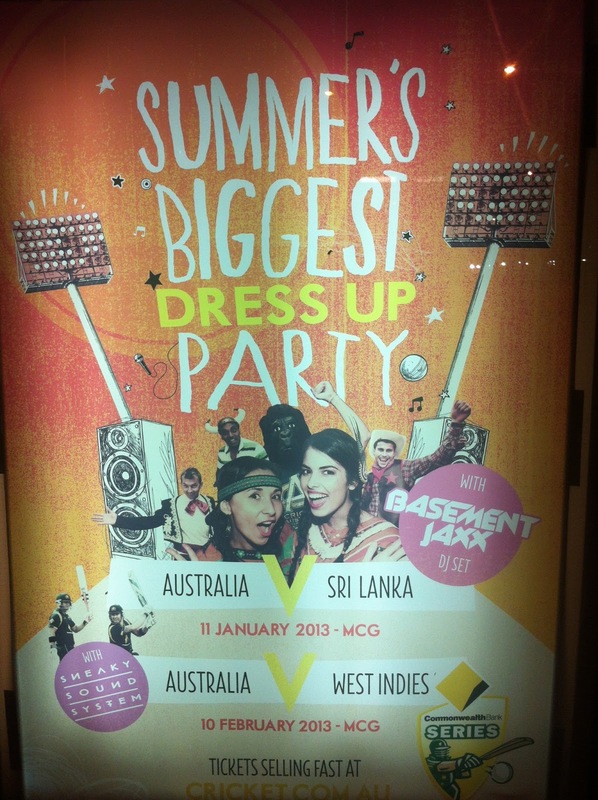 If you want to see some one-day cricket this summer, best bet is to dress up and head to a Basement Jaxx concert. Just be sure you don't end up at a music festival somewhere.